While natural search engine traffic is something you should work towards, over a pe­riod of months and years, very few businesses will generate enough traffic through SEO alone. To get a traffic volume great enough to run a profitable business, you’ll need to advertise. Initially, you’ll probably need to invest in pay per click (PPC) advertising, also known as paid search advertising. Most of the paid ads are displayed above the main search results. The four top paid ads featured in a prime position above the free results. Google Ads. These are used extensively by small businesses to drive traffic to their websites. They consist of a headline, two description lines, and a display URL. Google Ads (and other forms of PPC advertising) can be extremely effective. But if you’re in a very competitive market, it can be tough to make it pay. Think about what you do yourself when you a looking to purchase something online. If you’re searching for “ski jackets” you will not ignore the PPC ads, in favour of the free search listings in Google, because you are in the market to spend money. That’s what makes PPC advertising so powerful, if you do it correctly, because your ads are targeted at people who are looking to buy. One of the most powerful ways to use PPC advertising in the early days after getting your website online, is to test the conversion rate of your website. 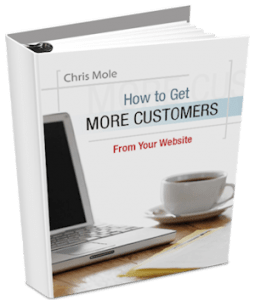 How do you know how effective your site is at converting visitors into customers, if you’re not getting any traffic? If you wait until you build up enough free search engine traffic to test the conversion rate, you will be waiting a long time, in most cases. And you’ll have no income off the site in the meantime. If you’re serious about PPC marketing (and you should be if you’re serious about selling online), you will need to spend an extensive period of time learning how to write and tar­get ads, tracking your competitors, and doing deep keyword research before jumping in. It takes time to learn how the systems work. You are competing against hot-shot marketers who have been doing this a lot longer than you! Google rewards its long-term advertisers with cheaper click costs. The reality is, PPC is competitive and will require learning, practice and careful tracking to generate profits. Before you even launch a business online, you can use PPC advertising to determine whether there is a market for what you are proposing to sell. You may have heard of a book called The 4–Hour Work Week by Tim Ferris. This book has become a best seller. Tim Ferris is a shrewd marketer and he knew the title of the book would have a huge impact on whether or not it was a success. So, he did some testing using Google Ads, with ads for the book before it was even ready for the market, to see which ads brought in the best response. He tested several titles, including some along the lines of being able to sit on the beach and make money, etc. “The 4 Hour Work Week” was the Google ad that got the best response. So that’s what the book was called. Tim Ferris believes the book would not have been a best seller if he had used a different title. When opening up a PPC accounts, many people are hesitant to spend a lot of money to get a high position for their ads. This is a mistake because you need to get a high enough position initially to get enough traffic to test your offer and see which ads are effective. After a while, you can revamp your ads, keep only the best ones, and then slash your bid price. The ineffective ad groups or keywords will be disabled due to quality-based mini­mum bids and the winners will keep displaying. To minimise your initial losses with pay per click, it’s worth taking a couple of weeks to do serious keyword research and market analysis before jumping in. It is a good idea to look at the various ads that are displayed using your keywords, over a period of time. The ads that remain in the top positions for the long term are pretty much guaranteed to be winners. Pay per click advertising can help you to focus on the right keywords for your long-term SEO efforts. It’s a quick and easy way to find out which keywords are most profitable. You may well discover that the keywords you thought would be the most profitable turn out not to be so. You may have to spend up to $500 on Google Ads to ascertain this, but it will be worth in it in the long run. The only way to be certain of anything in marketing is to test it. Pay per click advertising allows you to test in real time with the fastest feedback of any marketing medium. Paid search is complex, but you can begin to understand it if you visualise it in four basic stages. Keywords are a very important part of your Google Ads campaign. In fact, keywords are probably the most important part. They can make or break you. To succeed in PPC marketing you need a set of converting keywords that are cheap to bid on. That might sound simple. But the truth is, it’s not simple at all! Let’s say you are selling alternative energy products such as solar PVC panels, solar water heating, wind turbines, energy saving appliances and similar products. You might start by searching for broad keywords such as “solar energy”, “solar panels”, “so­lar hot water heating”, “wind turbines” etc. Most of these keywords will have a large search volume but will also be very competitive, which means the cost per click will be high. By using the Google Ads keyword tool, you will be able to find less expensive key­words that are related to your products. Google Ads’ keyword selection tool. 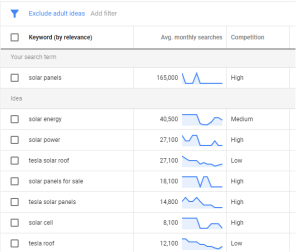 The above results are for the keyword ‘solar panels’. The tool provides a list of related keywords for you to choose from. It also provides informa­tion on the number of searches for each keyword. PPC advertising is only truly effective when you are selling a product or service that people are actively searching for online. There are plenty of things that people buy, which they hardly ever search for online. To use a slightly ludicrous example to make the point, hardly anybody searches for toilet paper on the Internet. So PPC advertising would not be a great way to sell a new type of toilet paper. Hardly anybody will be typing “toilet paper” into Google. The above example is pretty obvious. But in many cases it is not clear, without doing keyword research, whether many people will be searching for the keywords you intend to bid on. For example, let’s say you are selling a new nutritional supplement that could help people to live 10 years longer (among other benefits). You might decide to bid on the key phrase “live 10 years longer”. But that would be a mistake. If you had done some keyword research, you would have discovered very few people are actually searching for “live 10 years longer”. So, you need to target your ads at keywords people are searching for, which are also rele­vant to your product. For the nutritional supplement, if it is beneficial in helping arthritis, for example, you would find a lot more people are searching for ‘how to cure arthritis” and similar key phrases. That’s why keyword research is so essential. If a large number of people are searching for particular keywords on Google, it means there is a market for what you are selling. But the downside is, in most popular markets, you’ll find fierce competition. The bottom line is, can you make your offer more popular than your competitors’? Can you compete with the other main players in the market? At the end of the day, it is the advertiser who writes the most appealing ads and pays the most money per click who comes out the winner with Google Ads. If you’re targeting the local market only, you have an advantage, in that the competition will be less fierce. In this case, use local place names in your keyword list, and use Google’s geo-targeting feature, so your ad is not shown unless the customer is in your area. There are various approaches to using Google Ads and this handbook is not the place to go into them in depth. I want to focus on a simple strategy, which is to limit the number of keywords that you bid on, so you can keep a close eye on results and quickly eliminate any ads that are losing money. Start with a general key phrase related to your product or service. I’ll use ‘web hosting’ as an example here. When you put “web hosting” into the Google Ad tool, it comes up with a long list of related key phrases. You need to select the ones that look the most prom­ising, depending on the volume of searches for that phrase and the likely cost per click. A common mistake people make with Google Ads is to grab a big list of keywords and dump them all into a single ad group. This is a recipe for losing money big time. You need to separate your keywords into smaller ad groups, so you can test them easily, once your campaigns are running. Too many businesses get excited and rush into PPC campaigns without having them prop­erly setup. Most people who do this will fail. If you just want to test a product to see how it converts then its fine to set up a simple cam­paign. But if you want to setup a long term PPC campaign, which is profitable, then you need to put a bit of thought into its setup. Basically, your campaign needs to be laser targeted from the time the customer searches Google to the time they have made the purchase. I can’t stress enough the importance of having a specific landing page for each ad that you run on Google. The biggest mistake most people make when starting out with Google Ads, is to send all their traffic to the home page of their website. 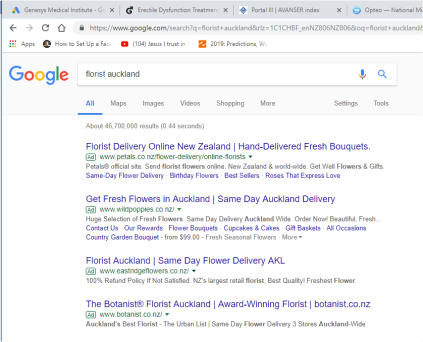 Let’s say, you are a chiropractor in Auckland and want to use Google Ads to bring in more business. You might bid on ‘chiropractor Auckland’ as well as other keywords such as “back pain”, “neck pain”, “knee pain” and other conditions that your services can alleviate, such as “migraines”, “chronic fatigue”, “fibromyalgia” etc. You should not simply send everyone who clicks on your ads to your home page. For “back pain” you need a targeted landing page that is focused on back pain. Likewise for “neck pain”, “migraines” etc. For each keyword or phrase, you need a specific landing page. Let’s say, you are an online store selling clothing. If you have a Google ad for a “green silk tie” then you need to take people who click on the ad directly to a landing page with a picture of a green silk tie and information about your green silk ties. If you send every visitor, from every ad, to your home page, the chances are they will get lost trying to find the specific product they want. If someone clicks on an ad for a ‘green silk tie’ they want to go straight to a page where they can purchase a green silk tie. OK, I think you’ve got the picture! Now, let’s look at the next stage of setting up your Google Ads campaign. What we’re looking at here, is the price you will pay per click, and your daily maximum budget. This will affect the position of your ads in the search results. Price. The price you pay per click is based on two factors: (1) The closer to the top, the more you’ll pay. (2) The ‘Quality Score’, which Google assigns to your ad, measures how relevant they think your ad is. The Quality Score is based on several factors, but an important one is whether you have a relevant landing page (as we discussed earlier). Not having a relevant landing page, will lower your Quality Score and raise the cost per click you’ll be charged. Position. There’s a bit of a juggling act involved here. If you pay enough per click to get position #1 for your keyword, you will get the most traffic, but it is likely to come at a high price. And the visitors you get from position #1 might not be as ready to buy as those from lower down, say position #7. So, by bidding a bit less, and ending up at position #7, you may get a better conversion rate at a lower cost. Keyword matching. When setting up your ads in Google, there are several options you can choose regarding how closely your ads will match your keywords. For example, if you select “broad match”, your ad will be shown when any of your keywords appear in some­one’s search phrase. “Phrase match” requires these keywords to be in your precise order. “Exact match” means that your ad is displayed only when a searcher uses your precise keyphrase and no other. You can also choose “Negative match”, which will stop your ad from showing if specific keywords indicate that this searcher is not a good prospect for your product or service. Daily budget. If you’re on a tight budget, specify the maximum amount you can be charged in a single day. Once this limit is reached, Google will stop showing your ads. If you’re serious about developing a site that sells, there’s no better way than to test a whole variety of factors, such as the headline, the offer, the sales message and even the domain name, by using Google Ads. You’ll discover how important WORDS are in all your advertising! In the old days, people used to do something similar with classified ads in newspapers and magazines. They would run different ads for a few weeks at a time and see which pulled the best response. Now, with Google, you can achieve the same results within days or even hours, rather than weeks! Perry Marshall, who is regarded as one of the gurus of Google Ads, recommends testing every aspect of your ads, including capital letters versus lower case, exclamation marks, dashes, semi-colons etc. All these seemingly minor things can make a big difference in the response rate of your ads. One thing worth testing (which hardly anyone thinks of) is the domain name you use in your Google ads. Perry Marshall recommends testing several domain names to send traf­fic to from your Google ads. The wrong domain name can be enough to turn-off potential customers. By testing several different domain names, you will find the one that converts best and then stick with it. All these little tweaks can add up to significantly higher profits and lower costs in the long run. Unlike traditional offline advertising, where it’s difficult to measure the results, with Goog­le Ads you can see immediately how well your ads are doing. You can determine the cost, the click-through rate, and the conversion rate for each ad and keyword combination. Then you can use this information to fine-tune your strategy and improve your results. This has been a very brief overview of paid search advertising. It is a complex subject, which takes time to learn. If you are determined to master it, you will probably lose some money in the early days. But in the long run, if you can develop winning Google ads, that turn a profit, you can keep them running continually and have a guaranteed stream of income coming in off your website!